The truth is this: Becoming an adult isn’t something that just happens at the stroke of midnight 18 years after you were born. It’s a series of painful and sometimes hilarious mistakes that you learn from and do everything you can to avoid repeating. My whole life I’ve known that I wanted to be a storyteller. That dream evolved from aspiring to write books to falling in love with film. Now, I’m 2+ years out of college with a Film degree (with a Political Science minor) and like most Millennials, I’m just trying to find my way in today’s off-kilter professional world. This is my story of how much I’ve grown up since society declared me an adult. It’s also the story of how far I still have to go, as well as where I stand today as a 25 year old. POTENTIAL EMPLOYER DISCLAIMER: I’ve worked really hard to create compelling content and foster an interested audience on this blog. 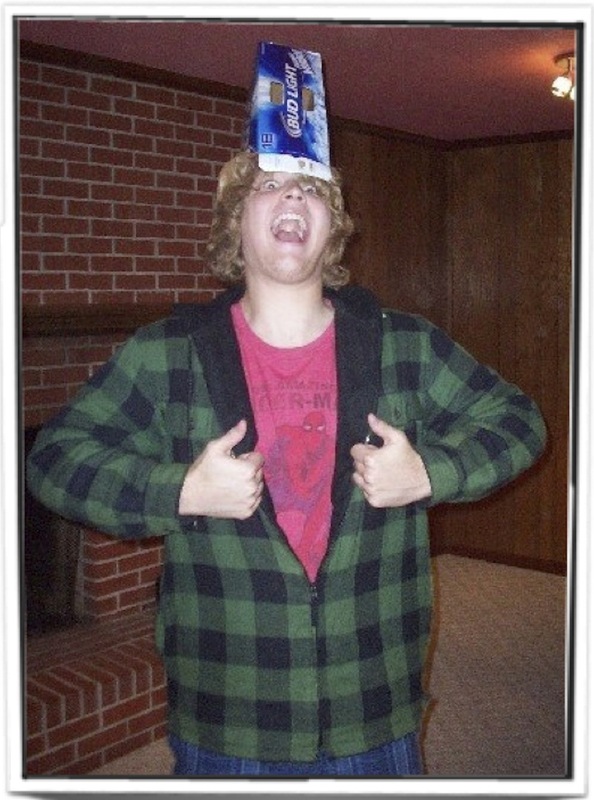 These are stories about dumb things that I did as a teenager. I’m a fairly responsible adult now, so don’t hold these indiscretions against me. This is my story of growing up and I’ve come a really long way. I will probably be sweating bullets should you ever find this blog, but it’s good work and I’m proud of it so I can’t make unlimited efforts to keep it hidden from you. Anecdotes won’t necessarily be told chronologically, but I will do my best to provide markers to help piece together the big picture. Names of individuals will be changed to respect their privacy. I hope you enjoy the ride and find some of these stories relatable. Drop me a comment and let me know if you do! You should really love Will Rogers stuff! Also check out Dr. Seuss…really! Thanks for the visit. The best ‘about’ page I have ever read. Period. Loved reading your blog! You will for sure have me as a visitor whenever you share a post. Your writing is amazing and I wish you all the best! Thank you so very much! Personally I’m not really a fan of my about page, but I have no clue what else to put here! I will do my best to make my posts worth reading for you! Haha. The experts say to make your web presence consistent so that if someone isn’t sure whether or not it is really you on twitter, they will recognize your profile pic. 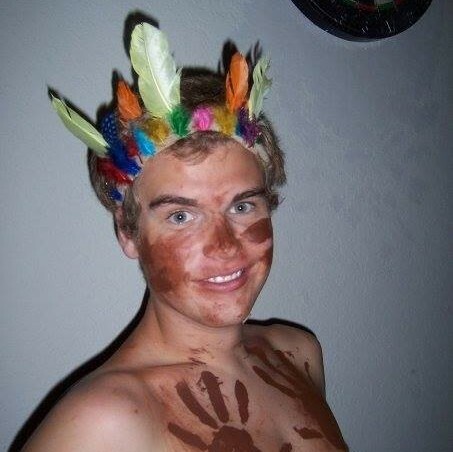 So I chose this picture of me from college at a Cowboys and Indians party (seeing as how my blog is made up of crazy stories from college). The weird thing about the costume was that my face paint seemed to become more and more smudged with each beer I drank. To this day I can’t find any explanation for that. Thanks so much for the kind words. I’ve been trying not to focus on how much I need to start watching True Detective, but you’re making it very difficult for me! It helps that these stories took place several years ago. I’ve had plenty of time to sort through it all and realize just how trivial some of the most important moments in my entire life were back then. Wow, Brantley, this blog is really well done. I love your writing style, and your teen anecdotes. I have two teen daughters, so I can really relate to some of the crazy things you did when you were a teen. It’s great to see it all from a guy’s perspective, too. So they do eventually grow up, huh? That’s good to know! Thanks for reading my humor blog! Thank you so much! I suppose most people do indeed grow up. I had to be dragged kicking and screaming into adulthood though haha. Teenagers have a very selective intelligence. They know how to not get caught doing things that are very obviously bad ideas. I enjoyed your blog a lot as well! Good luck with those girls. Just remember that they are smarter than you but only in the worst ways and that teenage boys are all egotistical sociopaths! I feel bad because I only caught up on your blog now. You’re very funny and intelligent. I really enjoyed reading through your posts (argh, this sounds like one of those spam posts, but it’s true). Thanks so much! Looking back on things, some of the mistakes that I made were so obvious and avoidable. I wouldn’t trade them in for the world though. Most of my best stories involve me getting in way over my head almost always through some fault of my own. Hey, Brantley! I nominated you for a Liebster Award. (Paying it forward and all.) You can see the details in my latest post, here: http://ffnerdityblog.wordpress.com/2014/07/01/citius-altius-fortius-midius-termius-reportius/ (It is in the second half of the post.) Thanks for being fun to read!